The power of Appointment King in the palm of your hand but is onlyavailable only at participating licensed locations.Whether staff ischecking schedules, adding or resolving appointments, viewingclient history or more...it's now all possible using AppointmentKing Mobile.Logging in from a desktop browser provides front deskstaff easy access to schedules and provides membership staff,fitness staff and management access to a robust set of tools. Easyto use tools keep everyone informed and provides management withdeeper insight into appointment performance and the impact of staffto member engagement. Detailed reports include data on which staffis most effective at setting and completing appointments, howparticular appointments affect retention, staff utilization andmuch more.Appointment King Mobile includes the following features:* 'Easy Glance' monthly view provides a quick way to check youravailability * Availablity color coding makes it easy to determinewhen (and where) you can meet with members or clients * Intuitivemonth, and day views. 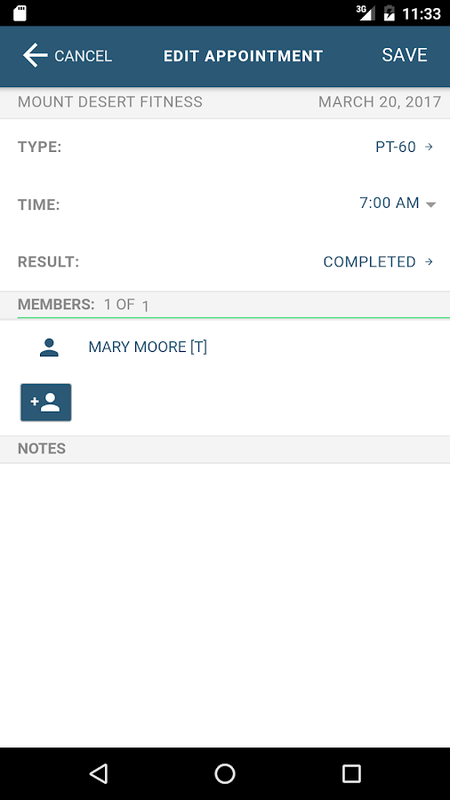 * Appointment List View makes it easy tovisualize upcoming appointments broken down by each day of the week* Access to member history * Group class scheduling * and more...Ifyour facility isn't currently using Appointment King, contact us [email protected] or (855) 703-5464. Calendar + is a free, easy to use professional schedule plannerthat helps manage business events and programs from one planningapp. Customize your schedule in one easy event planner. Calendarsfrom your Google accounts can be synchronized to automaticallydisplay events, programs and appointment reminders all on onepersonal calendar. 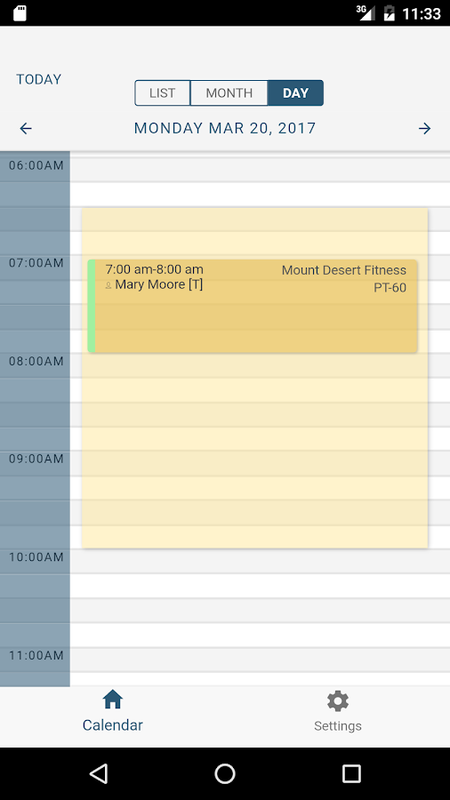 Customize your calendar with personalized viewsand options. Calendar + also provides you with quick schedulingfeatures so users can add new events or programs to theircalendars, easily on the go. Be a productivity ninja and never missimportant events or appointments again! 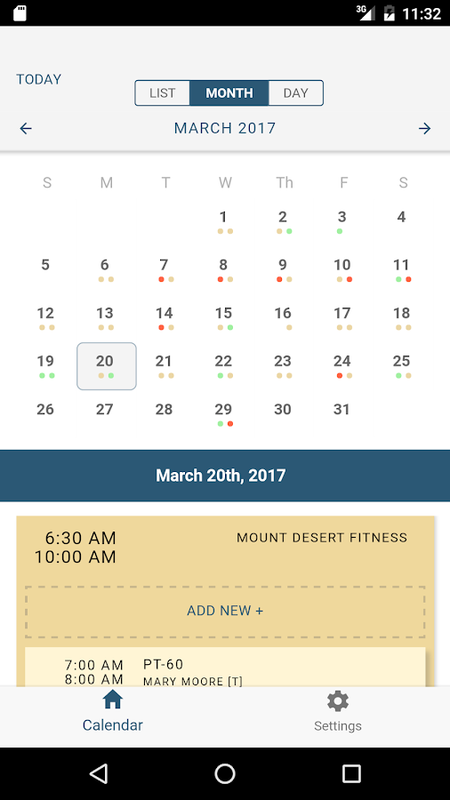 CALENDAR+ FEATURES:CALENDAR PLANNING APP FOR EXPERT SCHEDULING ▪ Calendar schedulingmakes booking your appointments easy. ▪ Work seamlessly,synchronizing office and personal events all in one place! ▪ Workcalendar with gesture recognition lets you add events with a simpleshake of your device. EVENTS WITH ENHANCED PRESENTATION ▪ Events inthe schedule planner are beautifully presented with perfectword-wrapping visuals and customized search function. ▪ Scheduleevents and easily edit, copy and delete existing events with theoverflow menu widget. APPOINTMENT REMINDERS AND SCHEDULE ALERTS ▪Appointment manager personalizes your office planner and workschedule with pop-ups, sounds and vibrations so you never miss yourappointments. CALENDAR MAKER WITH POWERFUL HOME WIDGETFUNCTIONALITY ▪ Calendar maker lets you add calendar widgets toyour phone or tablet's home screen. ▪ Professional home calendarwidget features like color scheme, tap action and app start view. ▪Event details are available on the home widget by simply tapping aday. ▪ Professional home calendar widget themes like modern,darkness, translucent and more. PROFESSIONAL BUSINESS AND OFFICECALENDAR ▪ Calendar + is perfect for a business calendar,electronic personal calendar or office event scheduling planner. ▪Professional recurrent event support for routine reminders andbusiness hour filters. Download Calendar + right now and startscheduling important events and appointments on the best calendarapp available for Android! Upgrade to the premium version ofCalendar + by visiting the following link:https://play.google.com/store/apps/details?id=com.joshy21.vera.calendarplusWe appreciate your feedback and/or suggestions. Please feel free tocontact us or give us a review in the ratings and reviews sectionbelow. If you liked Calendar +, please give us a 5-star rating andreview, we would highly appreciate it.